THE PLACE AND CAST: The Toronto Symphony is considered one of the top ten orchestras in the world, and Massey Hall is Canada’s premier legacy concert hall. In addition, Rei Hotota, assistant conductor for the Dallas Symphony will be conducting the concert. Rei has conducted over twenty symphony concerts for me already and her elegant musicianship and presence lend a grace to the event that is quite memorable. Add in my piano player and orchestrator Mike Janzen along with bassist Gilles Fournier and drummer Daniel Roy and we have the makings of a great evening. THE REASON: This concert is being presented by The Hope Exchange which is a charity focused on supporting the Hope Giver; those who have chosen a “vocation of service to others with a desire for healing, sustaining, restoring and sharing compassion.” My dear friend Tim Huff is heading up this new endeavor. He is also an award-winning author whose beautifully written stories have deeply impacted me time and again. The concert itself will feature Tim and some of his stories woven into the fabric of the evening. You are going to love this guy. THE HOSTESS: CTV’s Valerie Pringle will be hosting the evening. THE INTEREST: People are coming from all over North America: Seattle, Chicago, Winnipeg, Los Angeles, San Francisco, Philadelphia, North Carolina to name a few. Plus my mom and dad are coming! 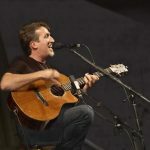 THE MISSION: When I first started writing and performing music, it never once occurred to me that I’d get this sort of opportunity. The songs God has inspired in me have served well to encourage and inspire hope and faith in others for a couple of decades now. I’ve been blessed beyond measure. Someone once said that our personal gifts and abilities are God’s unique way of loving the world through us. This opportunity to perform my music – in this setting, with these folks – is about as fulfilling for me as fulfilling can possibly be. 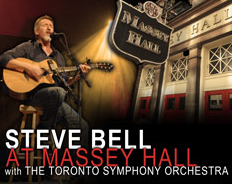 I do hope you will join me and the Toronto Symphony Orchestra – Massey Hall, December 3/11. We’re praying for a sold out venue! With God all things are possible, may this concert give many hope and Glory to God! I have already bought tickets for this as I’m moving to Toronto (from New Brunswick). I’m taking several family members for an early Christmas gift. I have always wanted to hear you play with a symphony….amazing! Steve has been encouraging lives with music and his down to earth nature for generations. He imapcted my life as a teen at a youth drop in centre. I am now a parent with teens sharing the hope of Christ through music of our own. Steve is an artist all age groups can enjoy. Jesus’ words to Peter were to feed His sheep and feed His lambs. 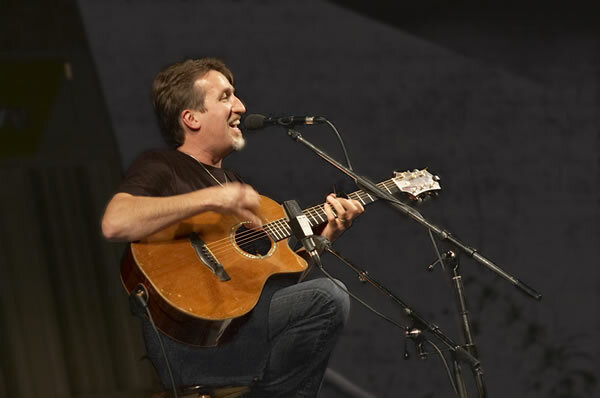 Steve and band, your faith, evidenced through the music you create also feeds His sheep, His lambs. Thanks for sharing God’s Word, experiences of the presence of God and for walking the talk in your music and other ministries that are being pusued. I sure am looking forward to a great concert in Toronto. Enjoyed the concert at Grace United Church in Sarnia.